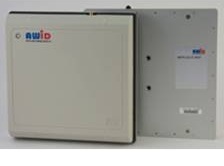 AWID's ANT-915CP-0.5 is optimized for frequency band 902-928MHz. 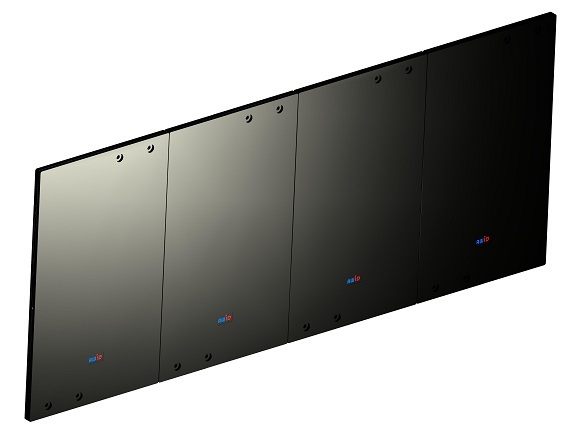 Optimization results are positive realized gain, low axial ratio of radiation and high return loss over operational frequency band achieved within small volume with linear size less than 1/4 of wavelength. Maximum achieved realized gain and frequency bandwidth within small volume. 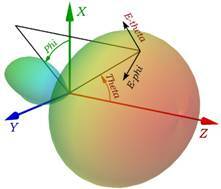 Variation of the Maximum Gain is less than ±1.4dB in Z direction at any Phi angle within operational frequency band. 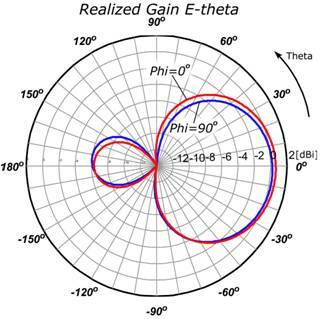 Variation of the Maximum Gain is less than ±0.5dB within frequency band 908-920MHz at the fixed Phi angle. 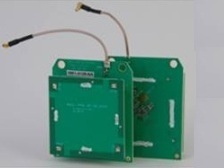 It provides low reflection of the transmitter signal into receiver. The return loss is more than 18dB. Extremely light – weight is 20g or 0.7oz. 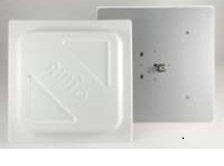 The antenna is intended for application with RFID mono-static interrogator architecture and it provides better interrogation rate and range because of very low VSWR. 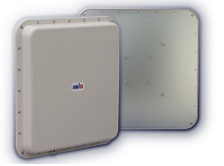 Antenna provides uniform electromagnetic field, which guaranties the stability of tag interrogation at any position. 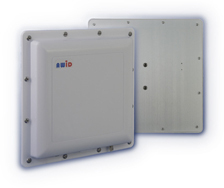 Size, weight and gain of the antenna are optimized for handheld applications. 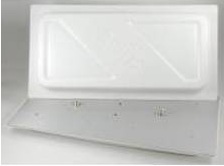 Antenna may be adopted for installation into various plastic enclosures with minor correction of the tuning components.